Crushed to death by a load of lumber here. 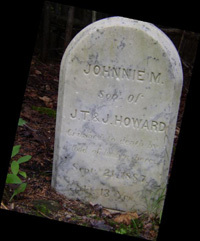 Sept. 21, 1887 Age 13 Yrs." Bet you never expected me to begin a journal entry with a headstone engraving, did you?? Jim noticed this small headstone along the little dirt Mad Tom Road on Sunday when he came to pick me up at the trail head. We drove by it again this morning. It's not in a cemetery, just all by itself a few feet off the road. It touched our hearts. I'm curious about the origin of the name of Mad Tom Notch and Mad Tom Road, but haven't had time to investigate. The AT guide doesn't say. Each guidebook is a little different than the others. Some, like CT/MA, have great descriptions of places along the AT. Others, like the VT/NH guide, do not. The official AT map sets are all different, too, which sometimes drives us crazy. Most have been pretty good showing us road access to trail heads. The Vermont set is the least helpful so far. Jim often has to use Topo software to find the best way to get me when I stop at forest service and other lesser-used roads. So far, he's always gotten there! His main problem has been lack of road signs, or different names on signs than he expects. I'm glad I took a day to rest yesterday. I was so much more alert and energetic today than the last two days I was on the Trail. I needed it - this was a tough 27 miles with all the wet rocks, roots, and boards that saw me slipping and sliding around all day long. No falls, fortunately, but that's a miracle. Despite several runnable miles I had only a 26-minute/mile pace (including all stops) because I had to be so careful in the gnarly places. There was plenty of elevation gain and loss, too - about 5,000 feet of gain and 6,600 feet of loss. The largest gain was the first climb out of Mad Tom Notch, 1,000 feet up to Styles Peak in just over a mile. Other ascents were shorter, ranging from gradual to steep. Two long drops of about 1,300 feet each from Mt. Baker and White Rocks Mountain were both gradual. The steepest descent was at the very end, after a brief shower slicked up the rocks and roots again, making for a tedious, slow time down. Jim got to share some of that fun with me. He's about to give up on coming to meet me on the Trail at the end because the Trail has been so unrunnable so many times. But despite my grousing about the wet rocks, roots, and bog boards (which couldn't have been any more slick if they'd had frost or ice on them), I had a fun day. 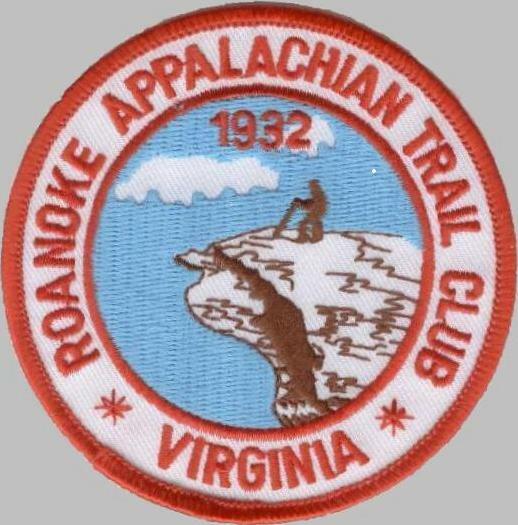 This is an interesting section, and except for the last mile before VT 103, I can recommend it for a run or hike. For one thing, most of it is just gorgeous, from the lower hardwood forests to the higher sub-alpine evergreen forests. There were probably more creeks and rivers per trail-mile today than any previous day. Two scenic ponds, two suspension bridges, one river gorge, an exciting rock climb, and great views from two of the mountains all make this section worthy of a run or hike. And then there are the cairns. 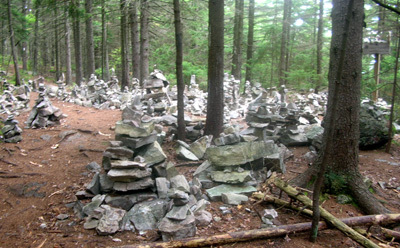 I knew from Jan Liteshoe's 2003 trail journal that there were some rock cairns in this section. What I didn't know was that there is a whole village of cairns at the intersection of the AT and the White Rocks Cliff Trail - dozens of big and little cairns, most vertical like towers or pagodas, some horizontal between trees and rocks (tougher to build that way!). I just burst out laughing when I saw them. I wish Jim had been with me. My camera doesn't have a wide enough lens to capture them all at once, but here are some of them. Of course, I had to add one of my own. 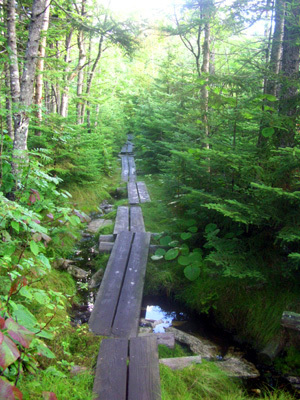 My favorite trails in southern Vermont have been in the sub-alpine environment over 3,000 feet. The farther north I go, the lower the sub-alpine spruce and other plants will be. You've got to be a lot higher up out West to find these plants. That fascinates me. I just love the moss all over the place, the lush ferns, the wonderful pine scent from spruces and firs. It's mid-August and there are new light green growth tips on the pine branches. What a short growing season that indicates! The sub-alpine forests were very wet today, too, like after snow-melt. There's water all around on Styles, Peru, and Baker peaks. Hence, all the boards. There must have been a couple of miles of bog boards today. I fell off several. Even when they are pretty flat, they are slick as ice when wet. And when they are slanted, well, I sometimes had to walk in the mud, water, or moss to avoid certain calamity. There is no way to stay on them when they are wet AND canted to one side! Lower down, in the hemlock and hardwood forests, it was very dry, quite a contrast to the sub-alpine forests a few hundred feet higher. Near the end, foliage was wilted and many leaves were down prematurely. It looked like a severe drought just a few miles from the very wet forests through which I'd just run. The middle miles of this section are full of creeks - from tiny streams near their sources to boisterous, wide, rock-filled waterways that mesmerize as you walk or run past them. You know how much I love trails next to creeks. This was a red-letter day for me! I wished Cody was with me. He would have been in Lab heaven. Big Branch looked like a river to me, with its huge boulders and roiling water. A suspension bridge crosses it. A larger suspension bridge (which swings more wildly) is at the very end of this section, only a tenth of a mile from VT 103, over the Mill River in Clarendon Gorge. The bridge is dedicated to a hiker (Robert Brugman) who drowned while crossing the river. Two pretty sub-alpine ponds in today's section are Griffith and Little Rock. 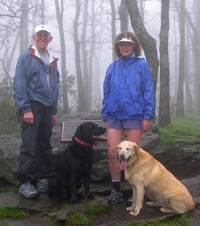 Each has a caretaker to be sure hikers follow camping and other rules. I discovered that Little Rock Pond is very popular with day-hikers. 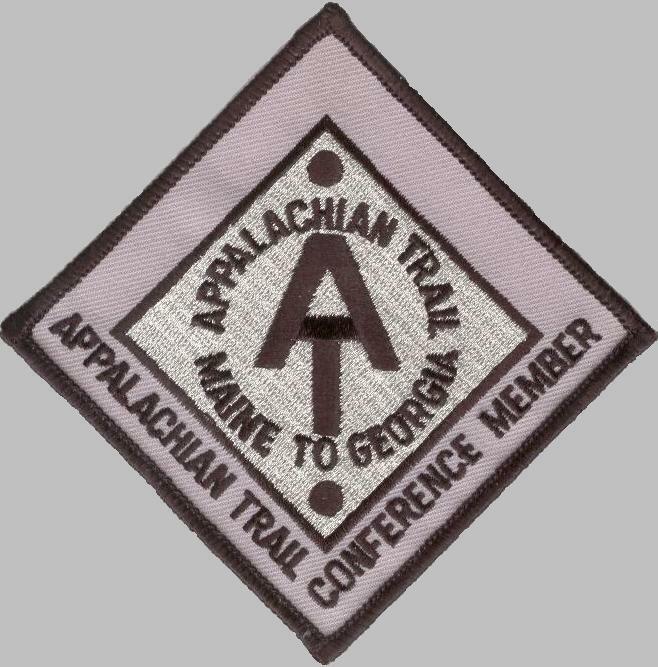 I didn't see a soul all morning, but when I got to the two-mile section of the AT that goes from Forest Service Road 10 up to the pond I ran into about twenty folks headed to or from Little Rock. I imagine a lot more folks would be there on a sunny weekend day, so plan a run or hike there with that in mind. Several of the shelters in this section (there are eight!) are right next to creeks or one of the ponds. There are also official tent sites near the ponds and on top of the three mountains I mentioned. The most fun I had today was climbing the white-blazed route up Baker Peak on rock slabs near the top. There's a bad-weather route but you'd miss the terrific views if you took that one. I was afraid the route down would be tough. However, it was on a real "trail," not rock outcrops. I was so impressed with the 240-degree view I had to the south, west, and north from the top of Baker that I called Jim. It reminded me of some expansive views we've seen in the Rockies. I took a ten-minute break to eat a snack and soak in the pine-covered mountains and large valleys with a patchwork-quilt of farms. The rocks on top of Baker and later ridges in this section are interesting. There are many light gray boulders and large rocks that look almost translucent when wet. They are veined with white and orange streaks, and flecked with silver bits that shine in the sun. Very pretty! There are also a lot of white marble and multi-colored quartz-type rocks in this area. I didn't have time to talk to very many hikers today. I had to concentrate on RFM - relentless forward motion - to get done before dark. The only ones I know by name that I saw are Nomad and Magic Touch. Nomad was wearing sandals, which got my attention. He's worn them the last 800 miles, without socks. Yikes! As often as I stub my toes or catch them under rocks and roots they'd be bloody stubs by now if I was wearing sandals on the Trail!! Tomorrow should be interesting, too. 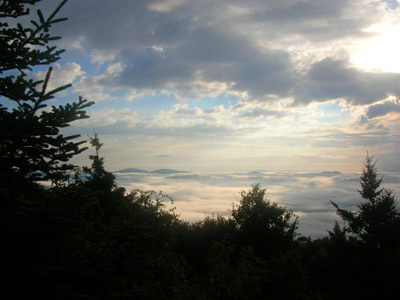 I climb Killington (a 2,500-foot ascent) and end up in our campground at Gifford Woods State Park. Jim doesn't have to drive to get me in the afternoon since he moved the camper to this location today. The only other times that has happened were in campgrounds in the Shenandoahs.